This is the Western Robotics Tail Servo Step-Down Voltage Regulator. The Tail Servo Step-Down Voltage Regulator is ideally designed to step-down a voltage source of 6 volts that is outputted from any external BEC (battery eliminator circuit) down to 5.2 volts. 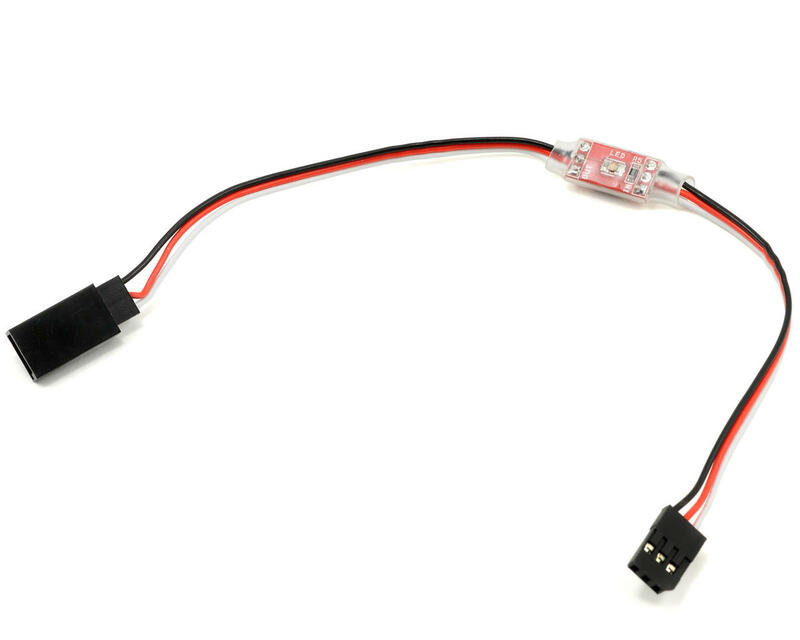 This allows an external 6 volt BEC to be used with Futaba 9241, 9251, 9253, 9254, 9255, and 9256 servo models, as well as other digital servos that are not capable of handling 6 volts. 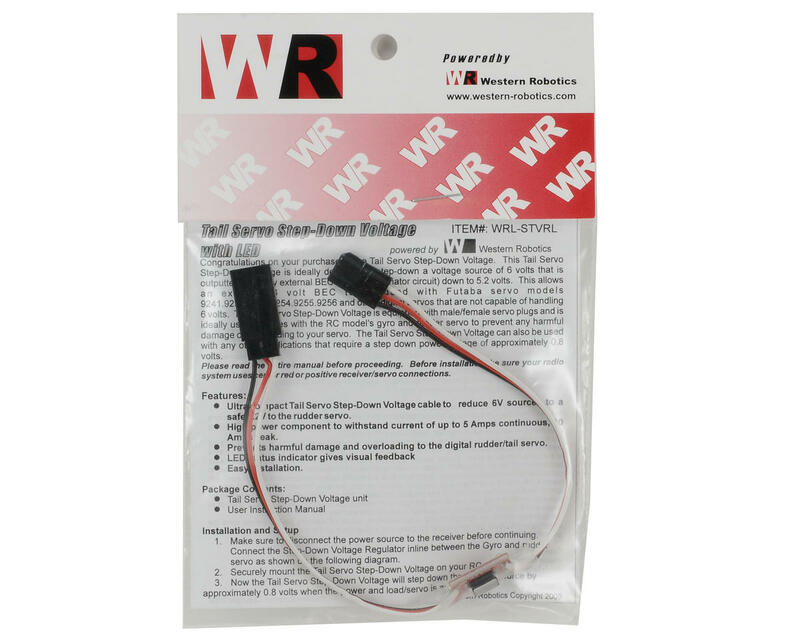 The Tail Servo Step-Down Voltage is equipped with male/female servo plugs and is ideally used in series with the RC models gyro and rudder servo to prevent any harmful damage overloading the servo. The Tail Servo Step-Down Voltage can also be used with any other applications that require a step down power voltage of approximately 0.8 volts. High power component to withstand current of up to 5 Amps continuous 10 Amps peak at 50V. Unit works well, but there is no strain relief for the soldered connections. I had my solder joints fail in flight. So be mindful if you have a heli that shakes (nitro) and place where it will not be disturbed.